Prestige Limousine ‘s Day of Relaxation is a great way to pamper your loved one and/or treat yourself for a worry free day. Our chauffeurs will take you away to your favorite spa or resort. On the way back from the spa you can stop at some of Napa or Sonoma’s famous wineries or go out to a nice relaxing lunch/dinner in San Francisco. Call us today for our special package of the month. Prestige Limousine’s wine tours are the ultimate way to enjoy wine country. You’ll enjoy the best that California’s premier wine regions have to offer. 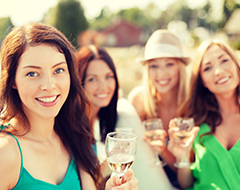 We can take you to the most popular wineries or to the most intimate hidden gems. And the best part is, you don’t have to deprive yourself. You can just back and enjoy visiting as many wineries as you’d like – in elegant style & comfort – and we’ll take care of all the rest. 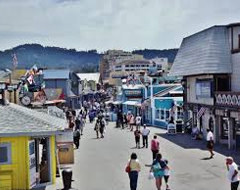 The Monterey area is a great Bay Area getaway, and our Monterey Peninsula tour is absolutely the best way to see all the sights and natural wonders. From the majesty of the Big Sur coastline to the quaint seaside village of Carmel-by-the-Sea, your knowledgeable Prestige chauffer will guide you through this beautiful region, and all while relaxing in the luxurious comfort of your personal limousine. *** All prices do not include service charge and gratuity.